Church of Ireland Sunday School Lessons (III), by the Rev. J. Paterson Smyth (Glaisher, I/-); Judges +, Lessons vii., viii. ; i. Samuel, Lessons ix., x., xi., xii., xiii., xiv. ; The Acts, Lessons xxi., xxii., xxiii., xxiv., and those on Trinity Sunday, Advent and Christmas. Children might use Nelson's Illustrated New Testament (I/II). S.P.C.K. Bible Atlas (6d.). Teacher to prepare beforehand as much of each lesson as the children can understand, and to use the Bible passages in teaching. + Judges can be obtained separately in The Bible for the Young (Sampson, Law, 1/-). A New Handwriting for Teachers, by M. M. Bridges (Mrs. Bridges, Yattenden, Newbury, 2/8), page 1, lines 3 and 4; page 3, lines 3 and 4. Two letters to be mastered each lesson. Transcribe from Reading Book in New Handwriting and write words from dictation. Keep Nature Note-Book. Watch and describe six insects. Insect Life +, by A. Buckley (Cassell, 6d. ), pages 1-80. More About Wild Nature, by Mrs. Brightwen (Fisher Unwin, 1/6), pages 80-109. Describe, for example, vetch, bramble, hawthorn, buttercup, ivy, sloe. + This book should be used in the Summer Holidays. London Geographical Readers * (Stanford), Book II. (1/6), pages 77-96. Book I. (1/-), pages 49-59. Map questions to be worked through with map before each lesson. Descriptions of any rivers, hills, mountains, etc., the child may know of, with plans. Children to be able to tell about six places in connection with recent events. "Pace" the length and breadth of four rooms, two passages, and two garden walks, and make plans. * Those who have not got these books may use Longman's New Geographical Readers. Book II (9d. ), pages 82-102. Book III. (1/-), pages 103-125. The Gouin Method: French Series on the Gouin Method, by F. Thémoin, First Book (Hachette, 1/2), pages 61-70. Make new sentences with the words learnt in these Series. Illustrated French Primer, by H. Bué (Hachette & Co.,1/2), pages 103-107; 37-140. Chapter ix., x., A.B.C. Arithmetic, (Teacher's Book, Part I., 9d., Sonnenschein). Tables up to twelve times twelve. Tables should be worked out in money thus: (9 x 7 = 63 pence = 5s. 3d.) N.B.--The terms "tens" and "units," etc., should be used instead of "staves" and "cubes,", etc. Books for Pupils, containing exercises only, are published at 4d. each. Study (in Object Lesson time) six reproductions of works of Rembrandt (see the Perry Pictures, Nos. 711, 713, 718, 719, 720, 725). Teachers may use also Rembrandt (Bell, 1/-). Six wild fruits and six animals in brushwork. For how to do animals, see Pour Dessiner Simplement, par V. Jacquot et P. Ravoux, cahier ii (Glaisher, 8d.). The Pilgrim's Progress (Partridge, 9d. ), Part I., pages 32-68 (to the Three Shining Ones). Tanglewood Tales by Nathaniel Hawthorne (Blackwood, 1/-), pages 1-40. Old Stories from British History, by F. York Powell (Longmans, 9d. ), pages 73-109. Mrs. Frewen Lord's Tales from Westminster Abbey (Sampson, Low, 9d. ), pages 1-22. To recite two poems, to learn three hymns, and a passage of six verses each from (a) Judges, (b) The Acts, in the Bible Lessons. Miss Wood's A First Book of Poetry (Macmillan, 1/11). Read books used for History, Geography, and Tales. Backward Children.--Happy Reader, Part II., by E. L. Young (Simpkin, Marshall, & Co., 9d.). Child Pianist (Curwen & Son, 1/2), continue. Teacher's Guide (revised edition, 1/11). See also programme of music in September Parents' Review: Our Work. Three French songs, Chansons d' Enfants (Librarie Ch. Delagrave, Paris, Part II., 8d.). Ten Minutes' Lessons in Tonic Sol-fa (Curwen & Son, 1/2). Three English songs from The Golden Boat Songs (Curwen, 1/-).. Marching and Dumb-bell Drills from Musical Drills for the Standards (Philip & Son, 1/11). Skipping Drills. Ex-Students take House of Education Drills. Attend to garden (see Aunt Mai's Annual, 1894, Glaisher, 2/6). Smyrna rugs (Aunt Mai's Annual, 1894, Glaisher, 2/6). Carton Work, by G. C. Hewitt (King, Halifax, 2/-): make a pillar-box, a match box, a pen tray, and a vase. Self-Teaching Needlework Manual (Longmans, 9d. ): children to be exercised in stitches, pages 1-15. Use coarse canvas and wool, then coloured cotton and coarse linen. Make a pair of cuffs. *Where there are children in Ia. As well as in Ib., both Classes should work together, doing the work of Ib., or Ia. if the children are backward in subjects thus indicated. N.B. 1.--All books mentioned in this Programme can be obtained at the prices quoted from G. J. Glaisher, Discount Bookseller, 58, High Street, Notting Hill Gate, London, W., and can be seen there before purchase. N.B. 2.--For illustrations for History, Geography and Picture Talk, see the catalogue for the Perry Pictures (Glaisher, 3d.). 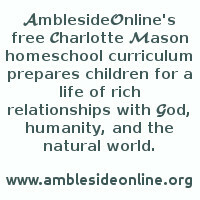 For methods of teaching the various subjects, see Home Education, Vol. 1. (Glaisher, 3/6 net) of the "Home Education" Series.